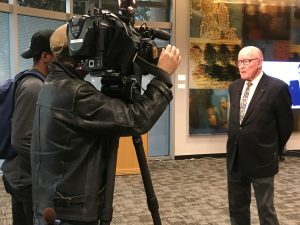 Gary L. Stuart speaks to KVOA prior to taking the podium at “An Evening Celebrating Ernest “Mac” McFarland. 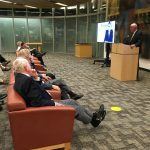 Last week, University of Arizona Press author Gary L. Stuart rendered an intimate portrait of one of Arizona’s most notable politicians, Ernest “Mac” McFarland, at a special event hosted in the University of Arizona Libraries’ Special Collections. The event marked the Tucson release of Stuart’s Call Him Mac: Ernest W. McFarland, the Arizona Years. 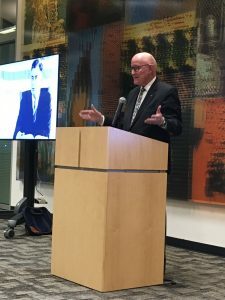 A young, ambitious country lawyer, McFarland left an enduring legacy as one of the few men to hold all three of the highest political positions in the state of Arizona. Although much is known about the man’s political legacy, Stuart entertained Tucsonans with a look at the man whose hard-won victories were achieved by a his ability to build real relationships with his constituents, including his rousing victory over the favored incumbent Sen. Henry F. Ashurst. 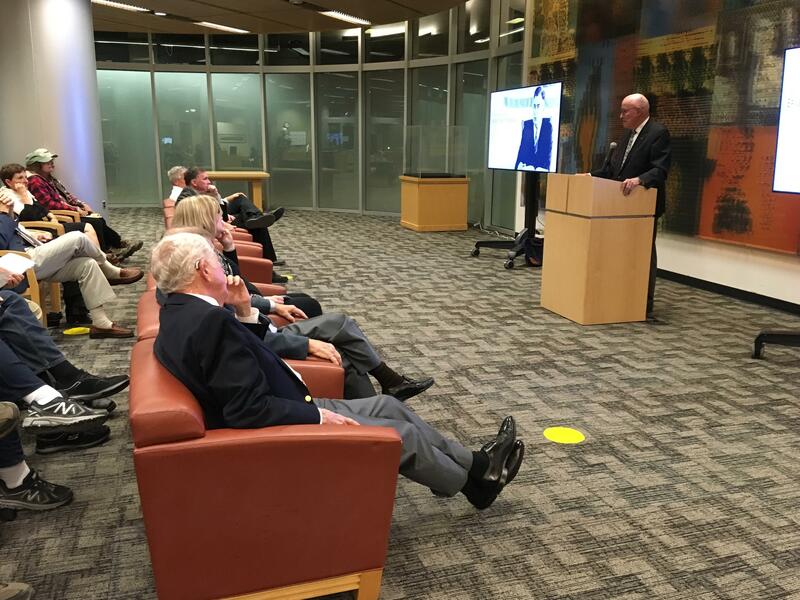 Special thanks to all who took part in the event, including UA President Emeritus Dr. Peter Likins and Tucson lawyer Burton J. Kinerk, as well as John D. Lewis from the McFarland Historical State Park Advisory Committee. Listen to the full presentation via SoundCloud.